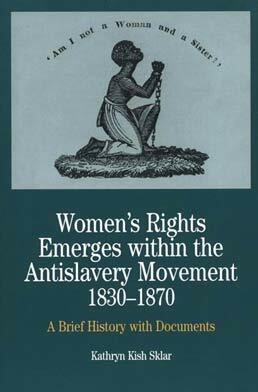 WIth over 50 documents, including diary entries, letters, and speeches from the Grimke Sisters, Maria Stewart, Lucretia Mott, Elizabeth Cady Stanton, Theodore Weld, Frances Harper, Sojourner Truth, and others, Women's Rights Emerges Within the Anti-Slavery Movement, 1830-1870 provides a guide to the emergence of the women's rights movement within the anti-slavery activism beginning in the 1830's. The robust collection of content within the text gives you access to the world of abolitionists and women's right advocates and their passionate struggles for emancipation. Introduction: "Our Rights as Moral Beings"
Mott remembers the 1833 founding of the American Anti-Slavery Society and the Philadelphia Female Anti-Slavery Society. African American women organize for mutual assistance in Boston. An African American Bostonian urges her people to organize. Stewart urges black and white women to reflect on their social status. Stewart reviews her leadership efforts and the ridicule she faced. Grimké offers specific actions southern women can take. Grimké expresses difficulties and hopes in response to the prejudice against women speaking in public life. Grimké describes her growing love for the work. Grimké begins to mention women’s rights in her talks. Mingling with free blacks, the sisters express caution and hope. The sisters encourage black women’s activism, and speak to men as well as women. Forten considers her experience of racial prejudice against free blacks. Grimké’s women’s rights arguments become available in print. An unprecedented event with an unprecedented resolution. The first printed opposition comes from a woman. Grimké is amazed by their success. Chapman requests support for the sisters as they begin to tour Massachusetts. The sisters address large audiences of men and women. Grimké expresses radical views on government as well as women’s rights. The sisters stand up to the clergy within the American Anti-Slavery Society. The Massachusetts clergy condemn women’s speaking in public. A fashionable clergyman adds to the rebuke. Thousands hear the Grimkès’ message. Grimké appeals to a friend for support in her struggle. Weld argues for putting the antislavery cause first. Whittier cautions the sisters not to divert their energies. Grimké argues that women’s rights must be defended now. The society publicizes its support for women’s rights. A powerful organization reviews an eventful year. Grimké is undeterred by the mob trying to disrupt the assembly. Wright describes how and why the "new organization" was formed. Grimké emphasizes the importance of domestic life for women’s rights advocates. A prominent woman abolitionist reviews the split. A leading women’s association splits. Stanton describes her immersion in reform culture. A charismatic black woman defends women’s rights. Women’s rights conventions flourish in antebellum public culture. Three cheers for woman’s rights within the Colored Convention Movement. Women claim their rights in the temperance movement. Women assert their rights in the Moral Reform Movement. An abolitionist supports women’s reproductive rights. Swisshelm argues that race is not a women’s issue. Pillsbury defends the rights of black women. A leading black writer addresses the race issue. Black and white delegates debate the relationship between black rights and women’s rights. 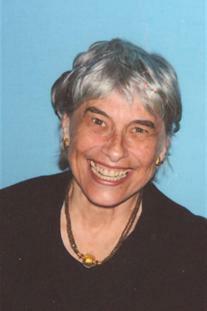 Kathryn Kish Sklar is Distinguished Professor of History at the State University of New York, Binghamton. Her writings focus on the history of women's participation in social movements, women's voluntary organizations, and American public culture. Her books include Catharine Beecher: A Study in American Domesticity (1973) and Florence Kelley and the Nation's Work: The Rise of Women's Political Culture, 1830-1900 (1995), both of which received the Berkshire Prize. She is also coeditor of Women’s Rights and Transatlantic Anti-Slavery in the Era of Emancipation. She has received Ford, Rockefeller, Guggenheim, and Mellon Foundation Fellowships, as well as fellowships from the National Endowment for the Humanities and the Center for Advanced Study in the Social and Behavioral Sciences.